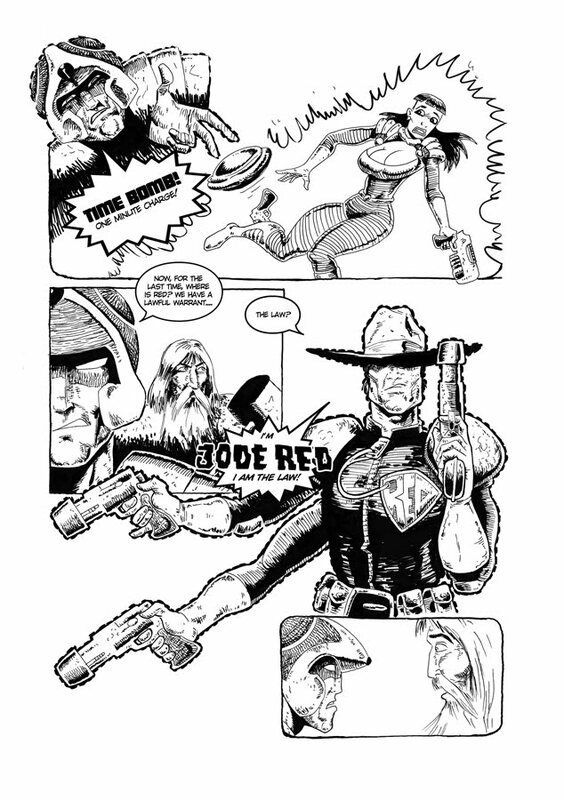 Another peek at the Dredd strip I’m doing. 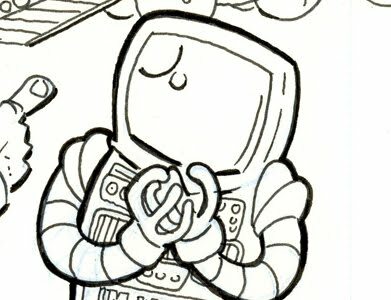 I got the center spread inked! Only one page to go. 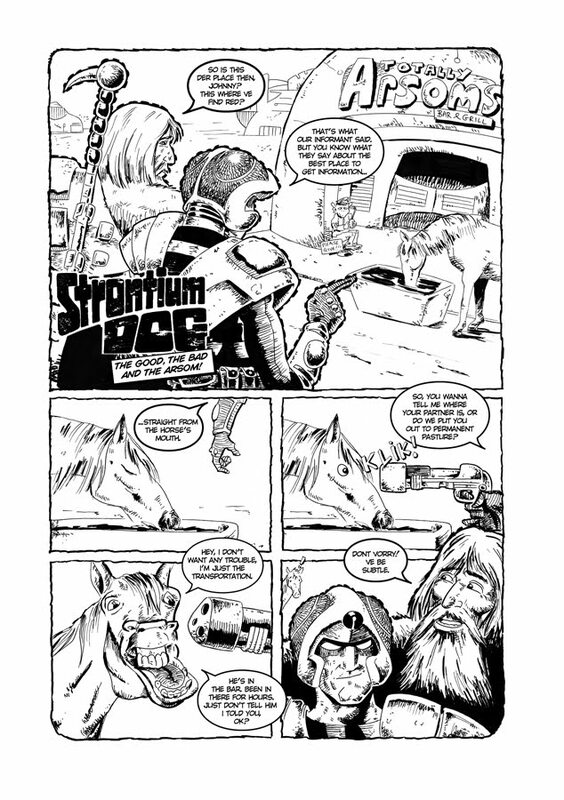 So, I’ve decided to post my Strontium Dog strip that I drew for ‘Zarjaz’. 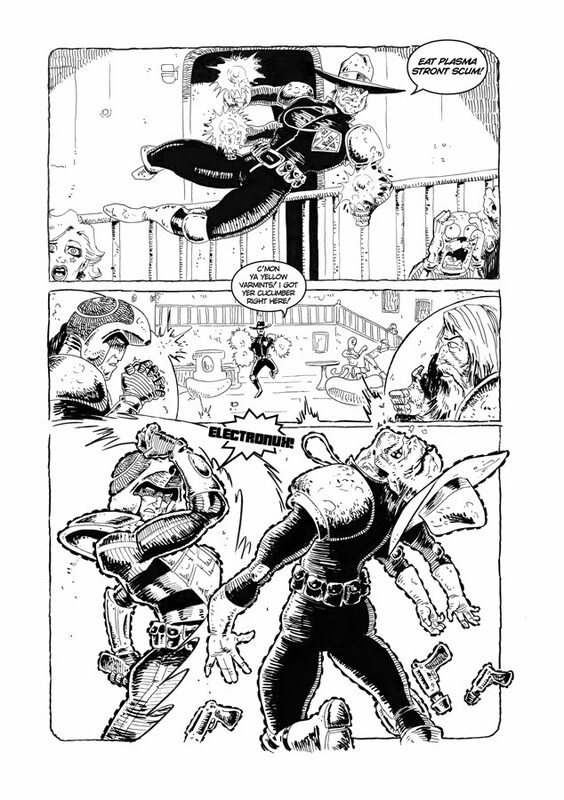 I figure that the publication has been out for a while now that there’s no harm in putting the full strip up on my blog. Script by Rich McAuliffe and art by me!